If you are moving to Houston and are looking for a nice place; welcome to Sugarland, the fastest growing city among Texas's 45 largest cities. A community of approximately 75000 residents, Sugarland is a city with diverse cultural exposure and a flourishing economy. For a complete listing of available apartment and condo rental in the Sugarland area check out our free apartment locator service. Master planned rental apartments and community oriented municipality makes Sugar Land a comfortable yet exciting city to live in. Once owned by the Mexican government, Sugar Land, today, has developed outstanding schools, libraries, civic organizations and other resources, which make it a perfect place to live, work, and raise a family. 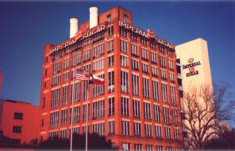 Sugar Land got its name from the sugar cane plantation that was quite popular in the 1800's. Today, the plantation has been cleared away and in its place is the, Sugar Land Regional Airport. A rental apartment in Sugar Land assures you a safe environment to live. Sugar Land has established an emergency management office, which can be contacted through a hotline. The 142 dedicated employees at the police department of Sugar Land are constantly vigilant to make the city of Sugar Land on of the safest cities in the state and in the country. All these benefits of Sugar Land make it unique, safe and one of the best places to rent or own an apartment in Houston. If you are looking for an apartment locator, which provides the reach of the web to bring a detailed listing and the personal touch of a dedicated staff, please call us.